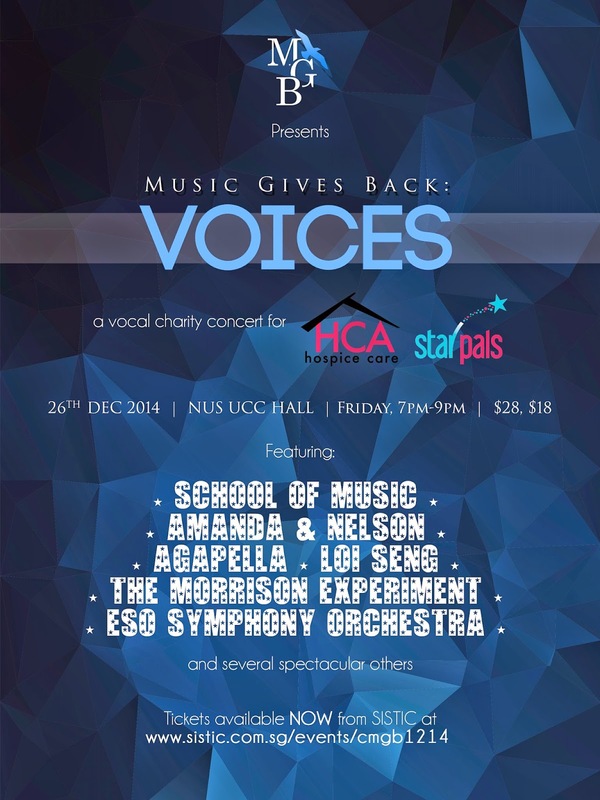 Centred around music, MGB (Music Gives Back in short), fuelled by a charity initiative group of individuals, have put together a charity concert. They aim to give back to the society by raising funds through their music. The reason I wanted to share this with y'all, other than for the music, was because all proceeds go to charity beneficiary HCA Hospice, StarPals!